Jan Stevens was born and raised in Seattle, Washington. She studied art and Interior Design at the University of Washington. In 1982 she moved to Henderson, Nevada where she designed one-of-a-kind interiors for hundreds of clients. Over 21 years ago, when her son was an infant, she established Jan Stevens Design and began her successful design business while working out of her house and being “Mom” at the same time. Jan has designed stylish, comfortable and gorgeous interiors for over 39 years. 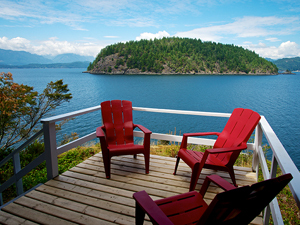 Jan’s creativity and organizational skills have led her to other entrepreneurial endeavours such as fundraising, graphic design, writing, and photography, as well as managing the Lazy Bowen Hideaway and Lazy B Waterfront Suite as vacation rentals since 2005. 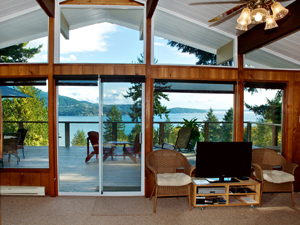 Since 2013 she has managed other vacation rental properties as well, under the banner of her company, Bowen Island Accommodations. Her current interior design work focuses on design for vacation rentals. 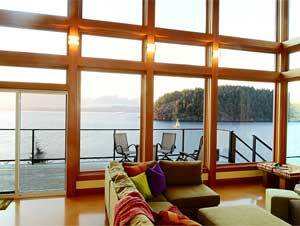 Find out more about her vacation rental design and management work here.